We put an urgent plea out, you heard, you cared and you shared! Thanks to you, since making the call to action late last week, 76 of our shelter cats and kittens now have a home to call their own. 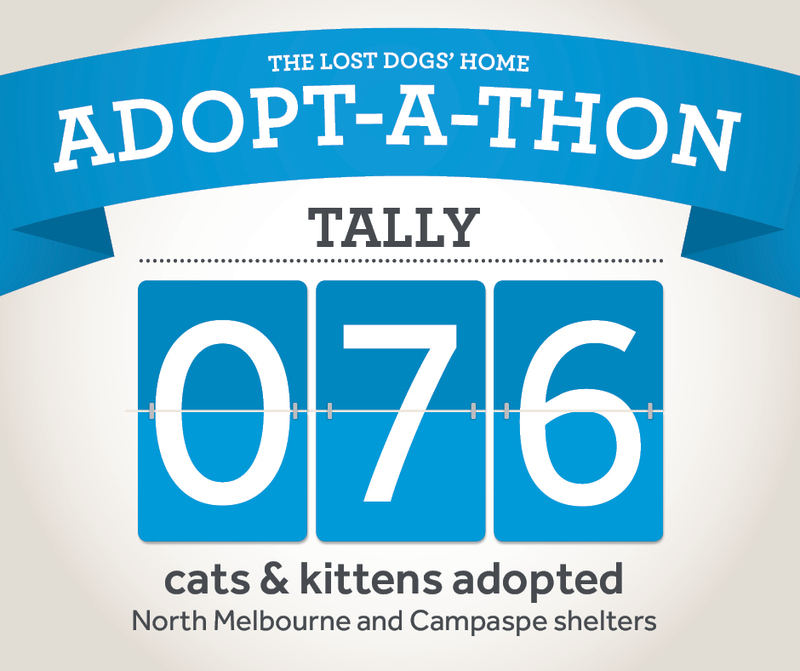 The Labour Day long weekend proved to be the busiest as shelter staff were run off their feet matching our magnificent moggies with interested candidates — a terrific total of 65 cats and kittens were adopted across both shelters during the long weekend alone. Our call to action however continues with our sights firmly set on our March goal of finding a total 222 cats and kittens new homes. With three weeks and 146 felines to go, we urge you to adopt, foster and/or advocate to get the word out and help us reach our target. Adopt: View our terrific range of cats and kittens at dogshome.com. Visit your nearest shelter to meet them in person — our staff are keen to find you your perfect match! Remember you will need to complete your Pet Licence test to take advantage of these offers. Keep an eye out on our website and our Facebook page for developments!